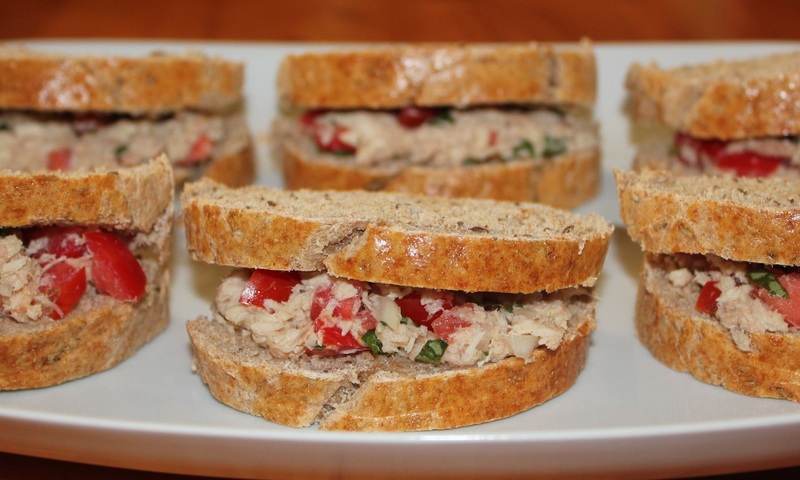 This is a very flavorful, light tuna sandwich. It is a perfect sandwich for the hot summer weather when basil and tomatoes are garden fresh. In a medium size bowl mix tuna, vinegar, tomato, onion, garlic, and basil. Spread 1/4 of mixture on one piece of bread. 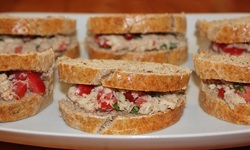 If using tuna in water drizzle about 1/2 teaspoon olive oil over tuna and mix with the other ingredients.